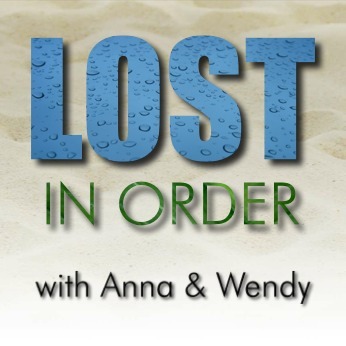 Anna and Wendy discuss episode 57 of Chronologically LOST, Episode 057 – November 25-27 2004 (days 65-67), featuring Michael’s betrayal revealed, a coup in the hatch, a boat trip around the island, a mysterious four toed statue, and the Walt rescue party getting hit with tranquilizer darts. Podcast length 1 hr 8 min. Anna and Wendy discuss episode 56 of Chronologically LOST, Episode 056 – November 24-25 2004 (days 64-65), featuring Eko’s dreams, Libby’s demise, the Pearl hatch and orientation video, Eko’s move from church to hatch, Michael’s plan to get Walt back, a funeral, and a boat sighting. Podcast length 1 hr 14 min. Never Let It Fade Away: LOST movie poster parodies – if anyone knows the source for these, please let us know! Anna and Wendy discuss episode 55 of Chronologically LOST, Episode 055 – November 23-24 2004 (days 63-64), featuring Bernard trying to build an SOS sign, Henry Gale on a hunger strike, and the return of Michael. Podcast length 1 hr 19 min.